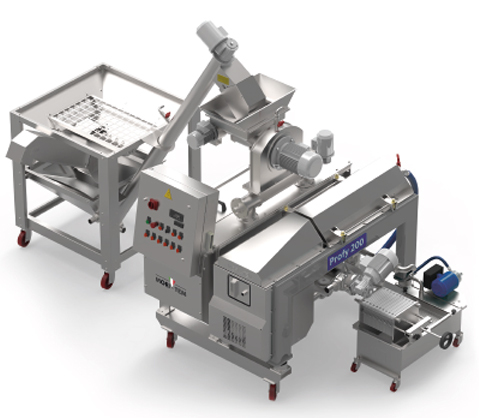 The beautifully designed OLIOMIO® mills by MORI-TEM are very compact with automatic, non-stop olive processing stages in a single structure. 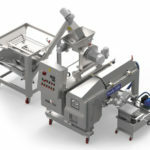 The small continuous flow plants employ all of the extraction processes of a large milling operation in a reduced platform. 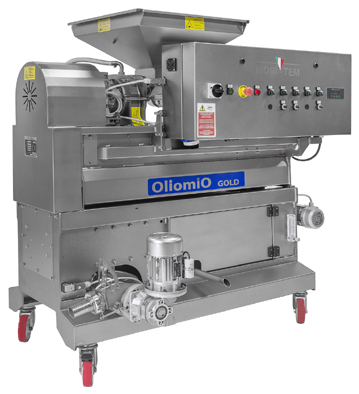 Oliomio compact mills range in processing capacity from 50 lbs/hr up to 400 lbs/hr. Optional: Loader/washer/defoliant unit DLE Baby for use with Spremoliva, Frantoino Bio, Oliomio 80 Plus, and Oliomio Gold, DLE Mini for use with Profy 200. 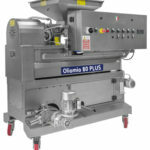 CPF.1 oil pump (transfers oil to storage tanks) with filter. Speedy Oil SV 2-4-6 station bottling units with vacuum pump.